Tuesday I came home from the LPGA Qualifying in Florida. Today I had a practice day and 9 hole game with Noa van Beek. Noa noticed my driver hitting video and wants to learn that strike too. So after lunch, we went with the Trackman on the beautiful practice area of De Rosendaelsche Golfcourse. There Noa hitted it as hard as she could, with some really nice driving numbers for a 14 years young girl. 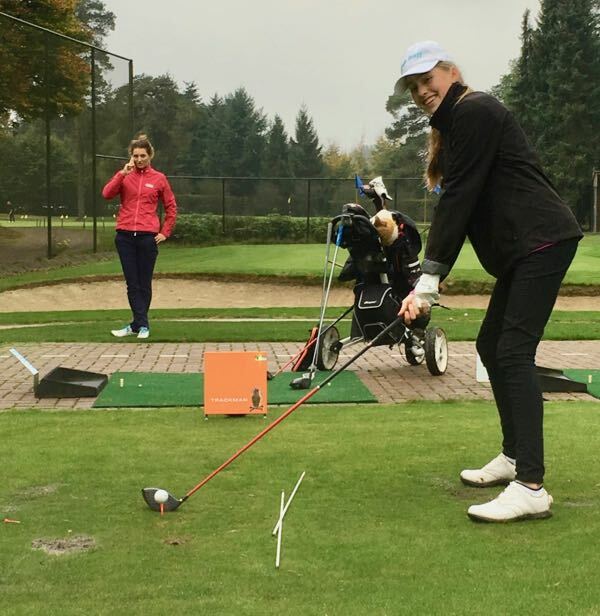 Hopefully this will help Noa to make progress with her further golf steps and playing for the Dutch juniors girls team.